Congratulations! Purchasing a home or even thinking of buying a home is an exciting adventure. You will be joining the ranks of hundreds of families who realize that home ownership offers a number of benefits including building equity, saving for the future and establishing a home your family can call their own. Your hard-earned dollars contribute to your mortgage, not a landlord's and over time your home will increase in value and the equity you earn is ultimately yours! In this Home Buyers Guide, we will take you through a step by step process to help you determine the type of home ownership that is right for you. To make your home buying experience as pleasant as possible, we have included informative articles on mortgages, house hunting, the offer, closing details, moving and more. Before you start shopping for your home, give some thought to your lifestyle, the features you need and want, affordability, and the neighborhoods you prefer. Determining the features that are most important to you will bring you closer to finding your perfect home. Prior to shopping for a home, it is usually recommended to look into getting a pre-approval on a mortgage. As most people require a mortgage to purchase a home, this section explains mortgage types, terms and how to qualify. Choosing a home is both an emotional and a financial decision for your future. By making the most out of your home viewing experience, you can learn how you can avoid costly errors that could lead to future problems. 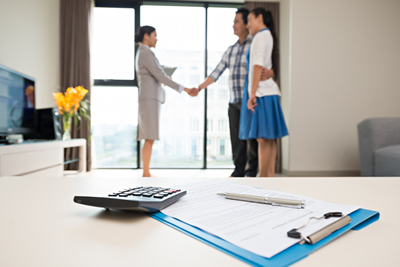 Are you ready to put an offer on a home? This section explains the components of an offer and how it forms an essential part of your purchase. Buying a home is more than simply picking your dream home. This section will explain the importance of hiring the right professionals to ensure you are legally protected. Are you looking for tips and tricks on how to make your move more manageable? This section offers insights on how to make the most of your move. The data included on this website is deemed to be reliable, but is not guaranteed to be accurate by the Kamloops Real Estate Board. The trademarks REALTOR®, REALTORS® and the REALTOR® logo are controlled by The Canadian Real Estate Association (CREA) and identify real estate professionals who are members of CREA. Used under license.